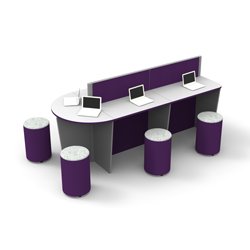 Prelude is a bar height study bench. 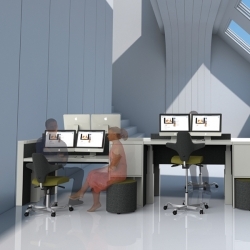 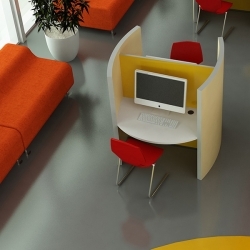 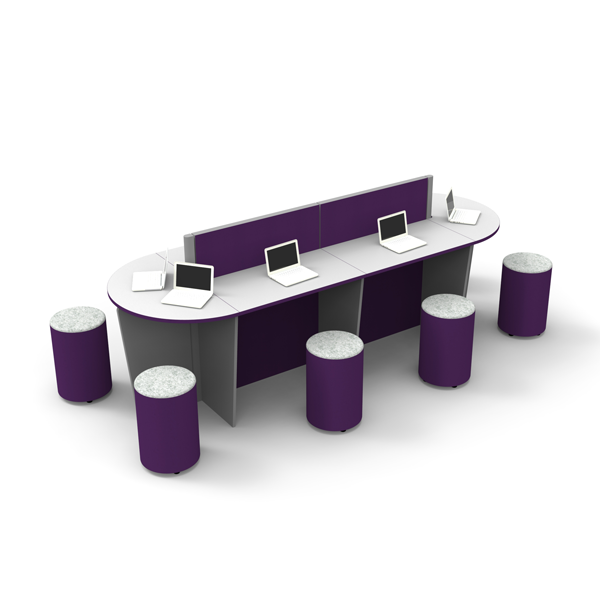 The D ends create a wrap around working surface optimising space utilisation. 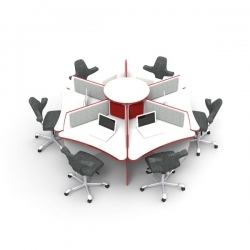 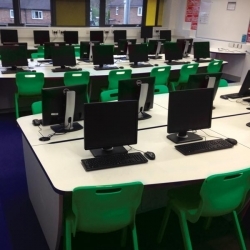 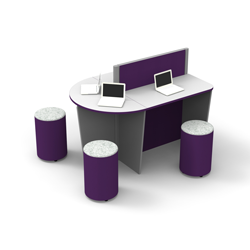 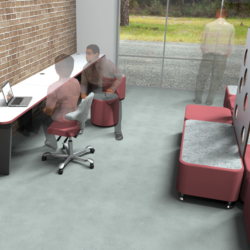 The low centre screen offers some privacy whilst maintaining the open feeling of the working environment.